Betsafe is a Swedish bookmaker that was established in 2006, at a period when sports betting was experiencing quite a boom online. The sportsbook was especially popular in Scandinavian countries at first. In 2011 the company was taken over by Betsson, one of the top betting companies in Europe and still forms part of this group. Our Betsafe review takes a look at different features of the online betting provider in detail. We have put Betsafe to the test in various categories including the Betsafe Welcome bonus offer, the selection of payment methods, the different sports markets and odds offered by the bookmaker. Sign up now and start palying on one of the best sportsbooks worldwide. It´s free! Get price boosts for your Accas on soccer, horse races, NFL and many more! Get enhanced odds for selected football events! Take profit early if your bet is winning or cut your losses if you´re going to lose! After having worked for some of the most well-established bookmakers, the founders of Betsafe decided to set up their own business in 2006. The sportsbook is known in the industry for its no-nonsense attitude towards gambling, which means that punters always have a clear idea of the terms and conditions of the bookmaker. According to our Betsafe review, the company is licensed and regulated by the Malta Gaming Authority, as well as the UK Gambling Commission for UK punters. As such, this is a reliable platform to do some serious betting. As of 2011, Betsafe has belonged to the Betsson Group. In addition, Betsafe is the official betting partner of Manchester City. This means that Betsafe can offer plenty of MCFC content and promotions, such as living a special experience at Etihad stadium if you are one of the bookmaker’s highest rollers. The current Betsafe Welcome Bonus is a 100% first deposit match up for new customers. However, customers residing in Finland, Sweden, Norway, Denmark, Germany, Switzerland and Austria are excluded from this offer. The maximum bonus amount is 30 GBP. In order to obtain the bonus, your first deposit must be a minimum of 10 GBP. Since this is a 100% match up offer, if you deposit 10 GBP, Betsafe will give you 10 GBP. This means that to obtain the full bonus amount of 30 GBP, your first deposit should also be 30 GBP. Please note that deposits made with Skrill or Neteller are not eligible for this Betsafe promotion. The bonus must be activated within 30 days of registration. In order to fulfil the bonus requirements, your deposit plus the bonus amount need to be wagered six (6) times at odds of 4/5 (1.80) or greater. Bets can be placed in the sportsbook or horse racing. There is no Betsafe promo code for this bonus offer. The Betsafe Welcome Bonus can only be obtained if you fulfil the bonus requirement. For this reason, our Betsafe review has drawn up some simple instructions for you to follow. Step 1 – Registration: Go to the Betsafe website and click on the green “Create Account” button in the top right corner. Fill in the registration form with your general information as required. Step 2 – Making a deposit: Your first deposit must be a minimum of £10. Do not forget that Skrill and Neteller are not eligible for this Betsafe bonus offer. You must also “opt-in” for this bonus. Go to “Bonuses”, click on “Available bonuses” and follow the activation instructions. Step 3 – Fulfil the bonus conditions: Your deposited amount (e.g. £30) + the bonus amount (e.g. £30) must be wagered 6 times (e.g. a total of £360) on odds of 1.80 or greater. Step 4 – Use the bonus amount: Once the wagering requirements have been met, you are free to use the remaining funds on any product or withdraw them. Betsafe does not only focus on new customers but also wishes to keep existing customers. For this reason, different promotions in the form of price boosts or free bets are offered time and again, addressing diverse betting markets. An overview of the different offers is available in your account under “Available Bonuses”. During our Betsafe review, one of the extra offers for newcomers was a free bet amounting to a total of £20. With a minimum deposit of £10, you unlock your £20 free bet. Place a bet at odds of 4/1 or lower by Monday. If the free bet loses, you will get a new free bet every Tuesday until you win. The Betsafe sportsbook offers a myriad of sports that you can choose from. Not only is the British football offering one of the biggest advantages of this bookmaker, but you will also find all of the major international leagues as well. It is not uncommon to find events in Africa, Turkey and Latin America. Alternative sports are also present, such as Gaelic football, MMA and even bandy. Betting on virtual sports, e-sports, and non-sports markets is also possible at this online betting provider. Not only is the breadth of the sports market extensive, but also its depth. Various bets all the way down to the minor leagues are available according to this Betsafe review. The in-play section at Betsafe is very much “alive”. Here you can place bets on football, ice hockey, basketball, snooker, volleyball and tennis among others. You can follow the action live as the clock ticks down on hundreds of games worldwide. In addition, live-streaming is available if you have funds in your betting account or you have made a bet within the last 24 hours prior to logging in. However, some events might not be streamed in a number of countries. The betting odds at Betsafe are quite stable and relatively attractive, in other words, they are “safe”. On average, the payout key is at around 94% for sports markets like football. This can be slightly higher in the case of special encounters of the Premier or Champions League. This means that the profit margin for Betsafe is about 6%. Our thorough Betsafe review shows that this is definitely a bookmaker that can be trusted. Not only the UK and Maltese licenses speak in favour of this sportsbook but also the partnership with Manchester City. The large selection of sports offered here in breadth and in depth is out of the ordinary. Some improvement could be made regarding the availability of live streaming. The payment options are varied, however, PayPal should not be limited to two countries. The swiftness of payments is an advantage of this bookmaker and the promotions are quite interesting, especially the Betsafe Welcome Bonus. Therefore, Betsafe is a good alternative to mainstream bookmakers. The payment structure at Betsafe is quite clear, so both newcomers and experienced punters should not have any problems here. The usual deposit methods are offered, such as debit/credit/prepaid cards, e-wallets and bank transfer. Sadly though, our Betsafe review noticed that PayPal is only available in the UK and Germany. There are no service fees on the majority of options (up to 2.5% for some credit cards). Deposits are carried out instantly and the general minimum is 10 GBP. Step 1 – Go to the banking section of your account: Next to your account balance, click on “Deposit”. A pop-up window opens with various deposit options. Step 2 – Select the desired payment method: Choose the option you prefer and fill in the amount and currency, as well as any other details required by the finance provider. Step 3 – Transact: Click on the “deposit” button at the bottom of the screen. Your funds should be credited to your account immediately. Withdrawing your winnings is normally a quick process. Generally, payouts are carried out using the same method as for depositing funds. Betsafe does not charge any fee for withdrawals and the minimum amount is around 20 GBP for most options. After an approval time of 24 hours, the processing time varies: Instant for most e-wallets and up to 3 days for prepaid or credit cards. Our Betsafe review found that the customer service offered at Betsafe is extremely good and available 24/7. If the extensive FAQs do not satisfy your curiosity, then you can reach the support by live chat via the “Help” function. The website boasts a waiting time of only 30 seconds. If you prefer speaking with the support staff, then call them at + 44 808 238 0028. The service in English is available around the clock, but might be restricted for other languages such as German. Another option is to send an e-mail to support-en@betsafe.com. The response time, in this case, is 30 to 60 minutes. Like most sportsbook nowadays, Betsafe is also present on various social media platforms, such as Twitter (@betsafe), Facebook and YouTube. Not only does the bookmaker publish sports news and facts, the platforms are also used for informing users of current offers and promotions. On YouTube, you will also find videos of press conferences, interviews with players. During our Betsafe review, one interesting offer was “Harry’s Stories”: Anecdotes told by Harry Redknapp, a former Premier League manager. Reliable or scam: How safe is Betsafe? 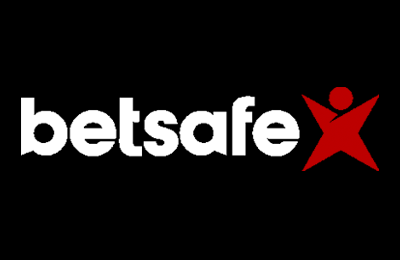 In terms of safety, Betsafe ensures the protection of data transfers with a VeriSign certificate on its homepage. The Swedish sportsbook also cooperates with Gambleaware and GamCare, which provide support and counselling in case of gambling problems. The fact that Betsafe has been in business for more than 10 years speaks in favour of its reliability. In addition, the bookmaker is licensed and regulated by the gambling authorities of two countries, Malta and the UK, hence a sign that this is a serious online betting provider according to our Betsafe review. What is the Cash out option at Betsafe? The Cash out option means that you may be allowed to take a return on a bet you placed before the settlement of the market. This is only available on certain pre-match and in-play sports markets and it might not be available at all times. How can I view my betting history at Betsafe? Once you are logged into your betting account, open the Sportsbook tab, scroll down and click on “Bet History”. You will be able to see your pending bets, search bets by date or according to various categories such as “won”, “lost”, “void”, “open” and “cash out”. Is there a Betsafe App? Yes, there is. According to our Betsafe review, the app can be downloaded for both Android and iOS devices. The navigation is simple and you will also find live streaming of the largest sports events. In addition, some promotions are exclusively offered to mobile users. Live betting means that you can predict sports results and place bets on the outcome of events that are happening “live”. The bets are only available one minute before the game starts. In comparison to pre-match betting, a little delay of 5 or 10 seconds may occur, to ensure that the product is not affected by transmission delays for example. What bets can I place using the Betsafe welcome bonus? In order to fulfil the wagering conditions for the Betsafe welcome bonus offer, you may use all types of bets (except system bets) including live odds, as long as the bets are placed at odds of at least 1.80.